LED Spotlights are ideal replacements for halogen and filament bulb lighting with their low power and longer life can make you significant savings upto 85% in many cases. This 3W MR16 spotlight bulb has a GU5.3 fitting on the base, it comes in a warm white colour and is available to work with 10 – 30V AC/DC. In the home, there are only two choices you have to make when replacing old incandesent bulbs and that is CFL or LED. 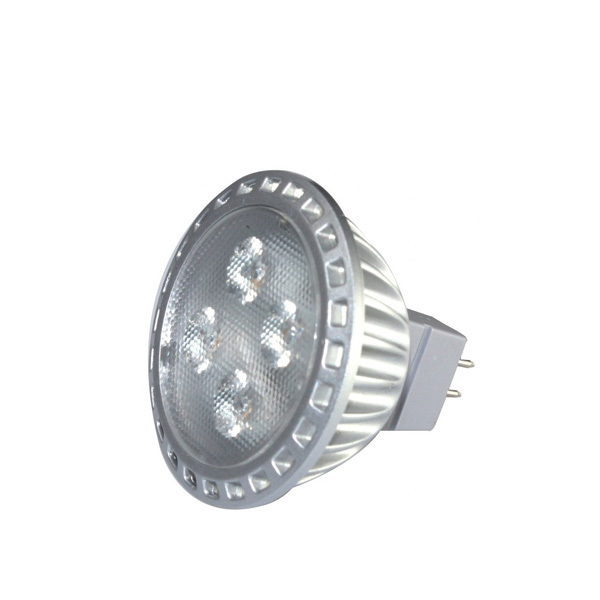 They are both tried and tested technology, produce good light, have direct replacement fixings, and save considerable energy. While the purchase price for LEDs is high, the savings in terms of energy efficiency and lifetime warranty make them an easy first choice in any energy upgrade. Improving the energy efficiency of light bulbs and how they are used can be the simplest way of making significant electricity cost savings. Lighting currently accounts for 17% of the domestic spend on household appliances and upward of 10% of our energy spend. The cost of lighting energy is second only to heating and cooling energy costs in most homes. Interestingly, the cost of electric lighting rose considerably over the past 40 years but reached a peak in the late 1990s and has steadily dropped since. The introduction of energy-saving bulbs and government bans on certain incandescent high-energy bulbs (old-style bulbs) can account for the savings, but there are many more savings to be made.